I must admit that I’m always baffled when I hear someone say, “I love to bake.” Really? Personally, I equate baking with a(nother) giant mess in the kitchen, and we have enough of those already. Therefore, a baker I am not. Or, maybe I should say, I WAS not. 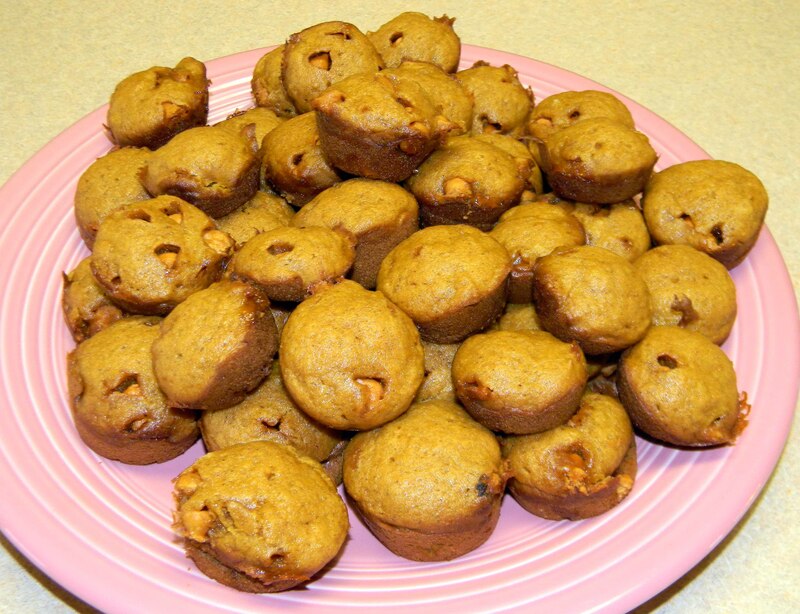 Because everything changed when my friend and culinarian extraordinaire, Melissa, made me some Pumpkin-Butterscotch Mini-Muffins. I should say she made them for our family, but I’m pretty sure nobody else even got to try that first batch, because once I tasted them I couldn’t quit. They are amazing. Which means I am now in the kitchen–BAKING–quite often. These things are SO easy—you don’t even have to break out your mixer! My whole family goes crazy over them each time I make them. One recipe makes 48 mini-muffins, and I’m ashamed to say that the kids and I eat every single one of them in one sitting. (Our good intentions of “saving some for Daddy” turn out to be just that.) Nothing gets them out of bed faster in the morning than knowing these are in the oven. I hope you love them, too! 2. Melt the butter in a microwave-proof bowl. Add eggs and pumpkin and mix all together. 4. Slowly stir dry mix into pumpkin mix. Now you can add the butterscotch chips. 5. 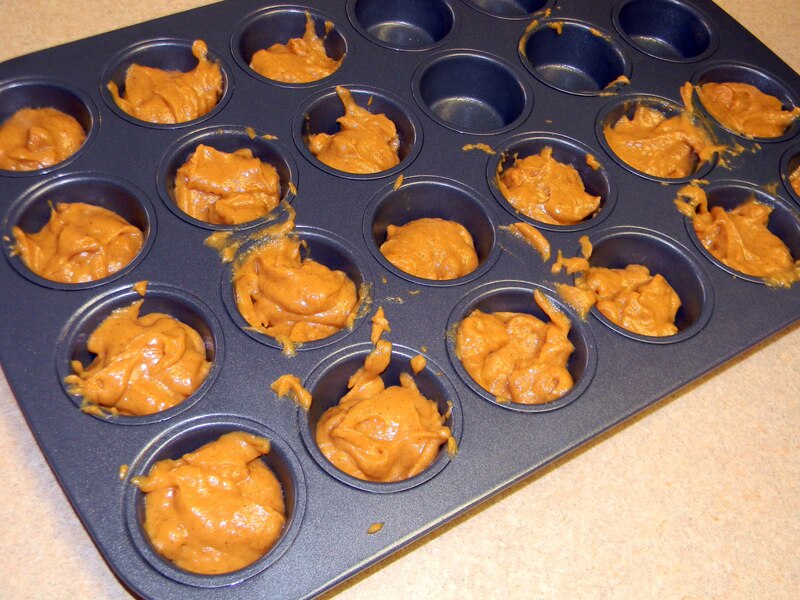 Spray a mini-muffin pan and fill each cup about 3/4 full with batter. 7. Enjoy the compliments of your happy family and the way the house smells now while you chow down on your mini-muffins. I can attest to these being delicious. We enjoyed the ones you baked for us very much! So….how did it work? I’m curious now! Sound so yummy! I love anything pumpkin!